When we were 25, we put everything we owned in storage, packed one bag each, and headed Down Under for a year. Of course, we came back with a whole lot more - our son Parker. When we first moved back, we filled his room with photos of where his life started. But as we have moved from place to place over the last few years, those pictures have been scattered around, packed away, and tucked in corners. This three part mini-series is a glimpse at how I am attempting to bring the beach back home in Parker's room. First up is a landscape photograph tuned into an art poster. Landscapes can evoke memories from a special time, yet I find myself replacing them with pictures of my children. Cutting a meaningful quote out of a landscape photo is one way to add interest and a pop of unexpected color. 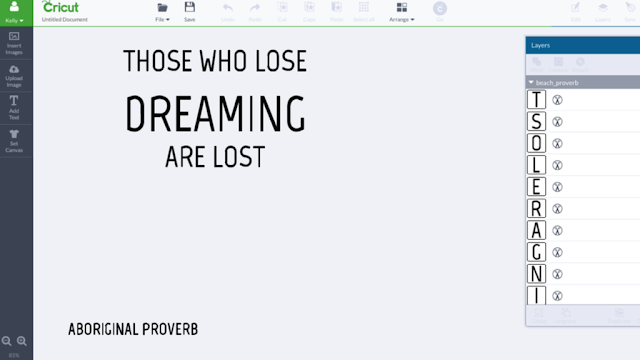 After finding a quote that fit what the photo represented to me, I uploaded it to the Cricut Design Space, set the dial to poster board, loaded my mat, and pressed go. 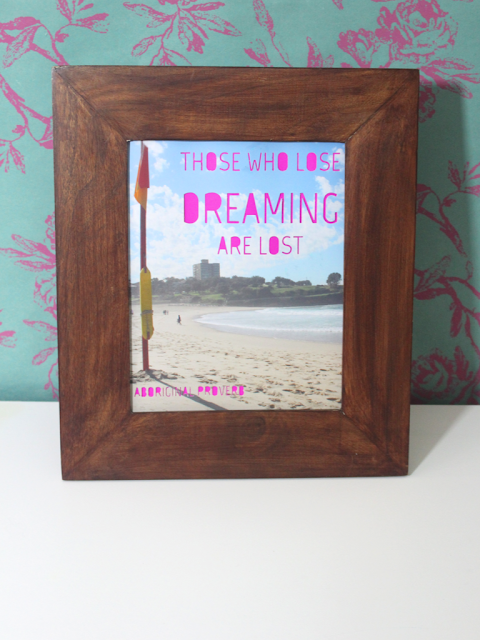 Once the Cricut Explore was finished doing its thing, I glued the photo onto a brightly color piece of cardstock and finished with a frame. 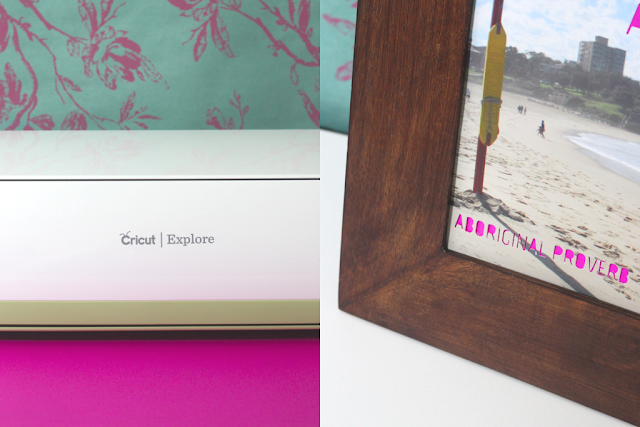 It is always easy to go from inspiration to creation in a few simple clicks with the Cricut Explore. And lucky you, Cricut is giving away 50 machines! 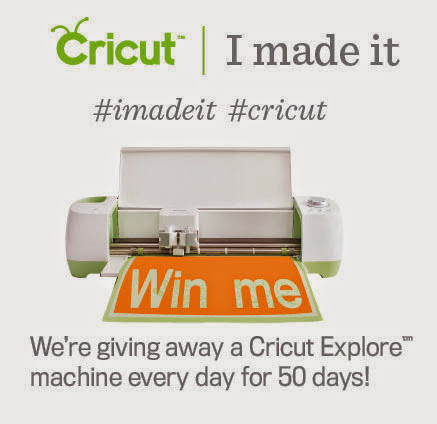 If you want to win one, all you need to do is upload a photo of any project that you have made (it does not need to be made with a Cricut product - it can be anything as long as you made it) with the #cricut and #imadeit to Facebook, Instagram, or Twitter and you will automatically be entered to win. Check out the official rules right here. And if you want, go ahead and tag me (@cloudydaygray), so I can play along with the fun! I made this project as an entry into the Cricut Design Star challenge. Cricut has asked a number of bloggers to enter projects with specific themes as a fun way to test out the Cricut Explore. 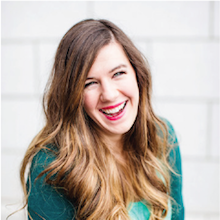 I am also now an official affiliate blogger for Cricut, so any purchases made through a link from this site, will result in a percentage going into my pocket. Always, thank you for your support.